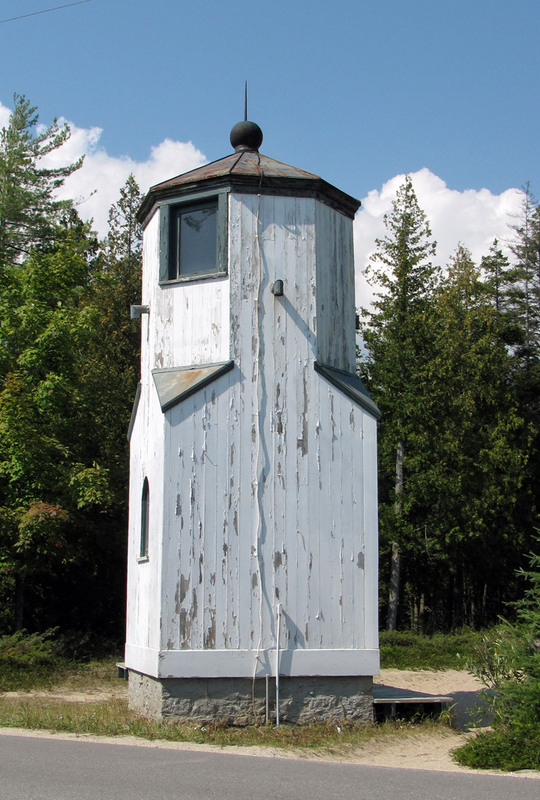 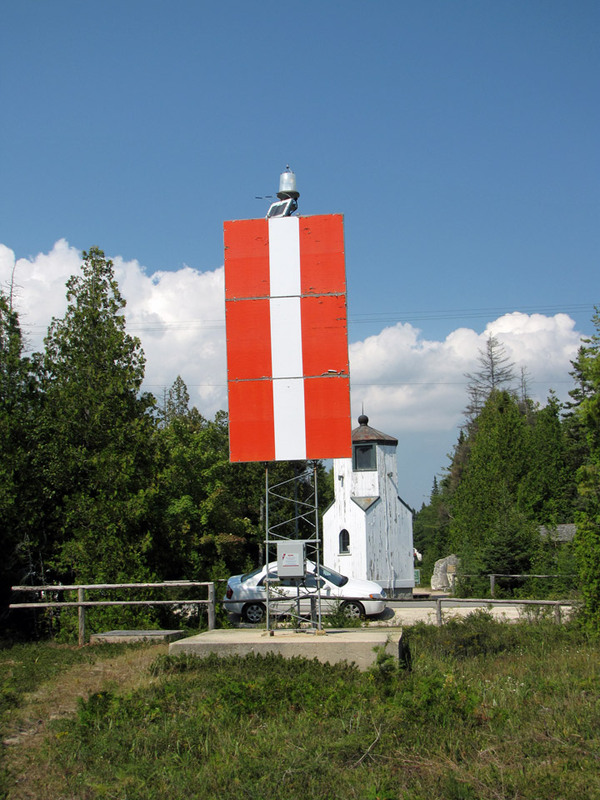 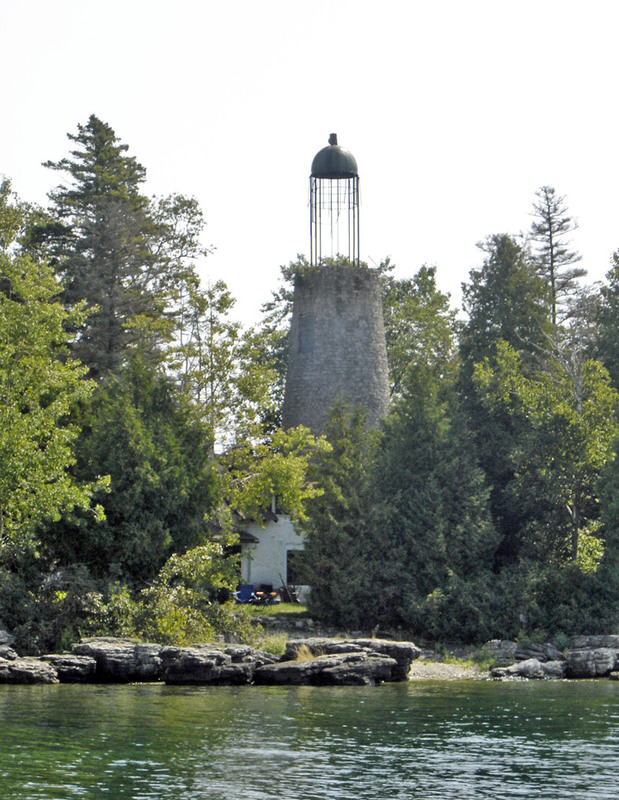 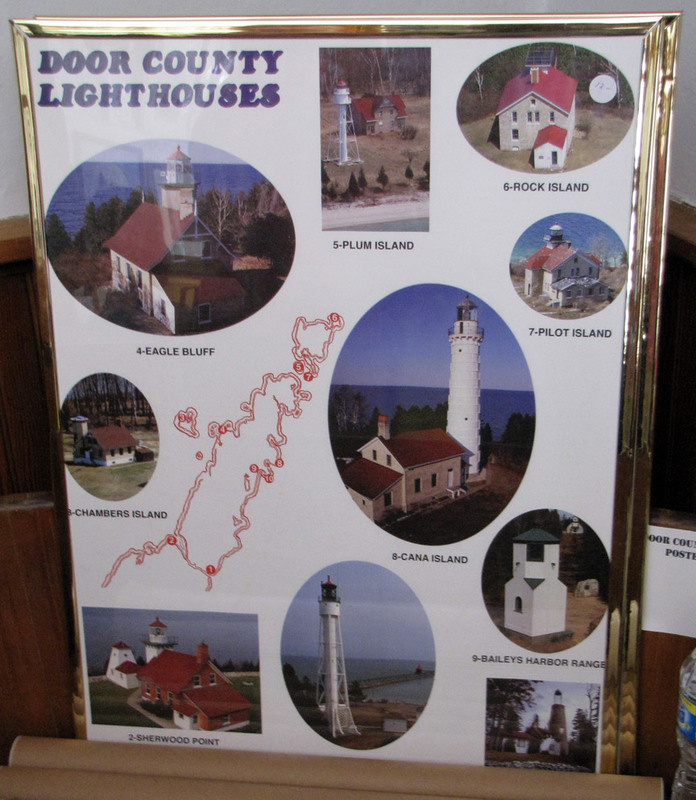 Door County has 12 lighthouses. 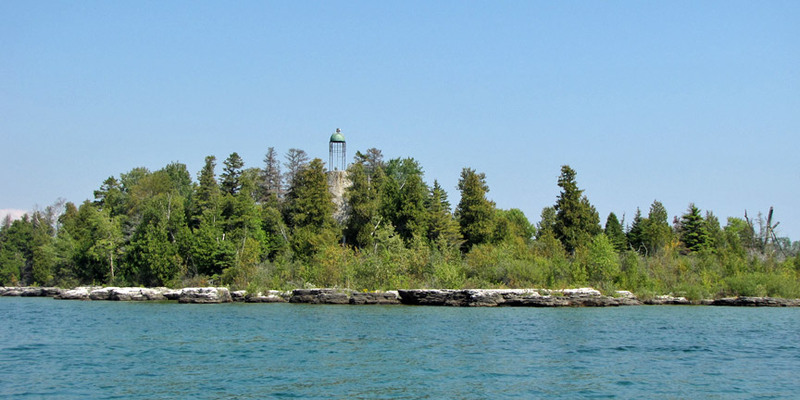 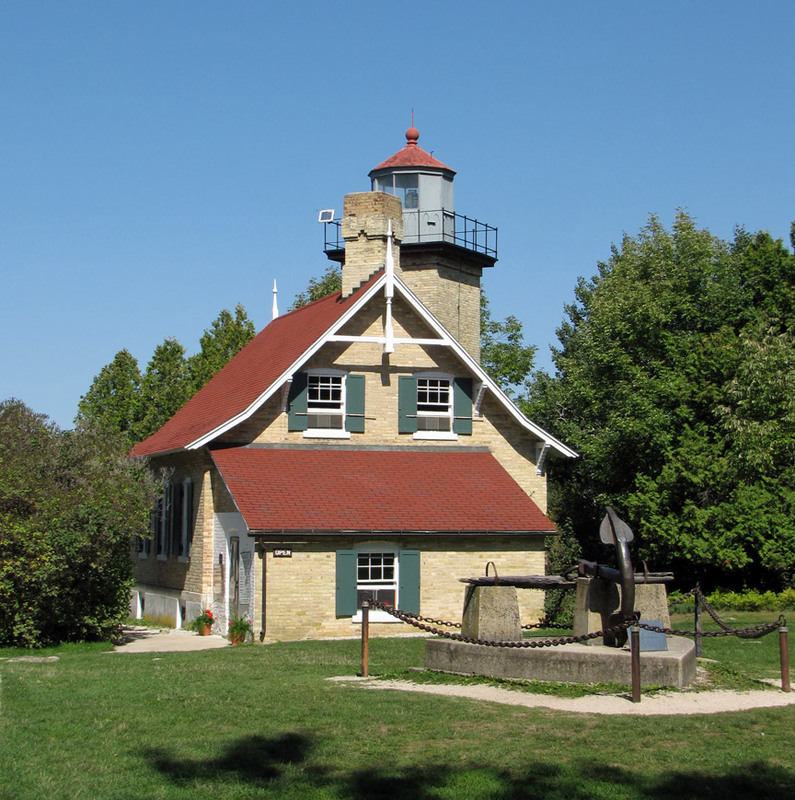 Most were built during the 1800s and are listed in the National Register of Historic Places: Baileys Harbor Range Lights, Cana Island Lighthouse, Chambers Island Lighthouse, Eagle Bluff Lighthouse, Pilot Island Lighthouse, Plum Island Range Lights, Pottawatomie Lighthouse, and Sturgeon Bay Canal Lighthouse. 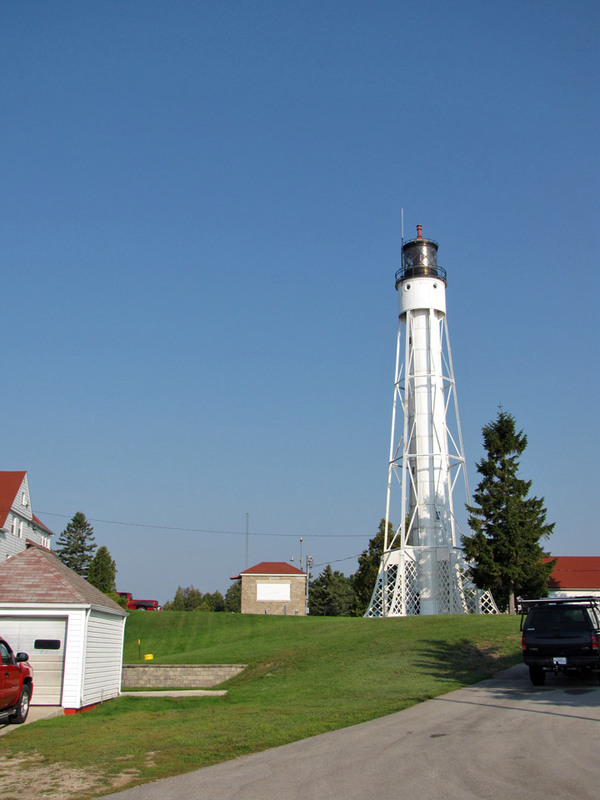 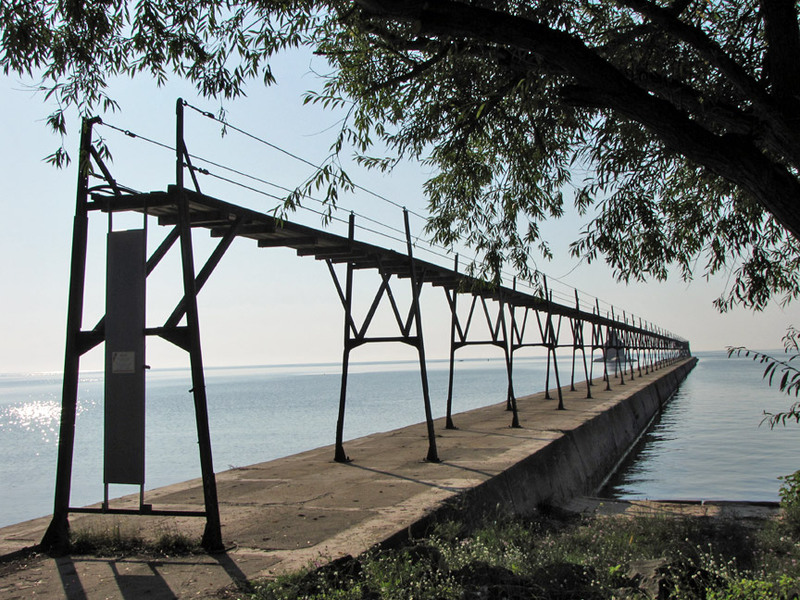 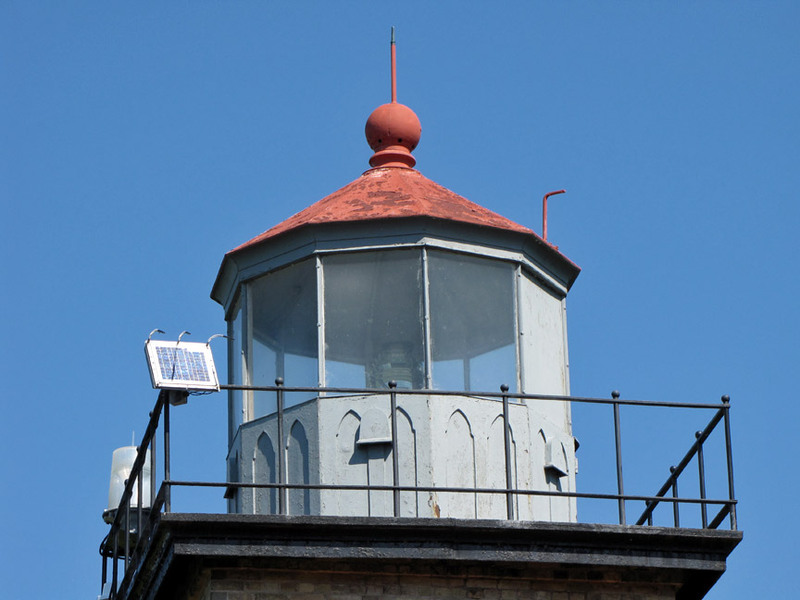 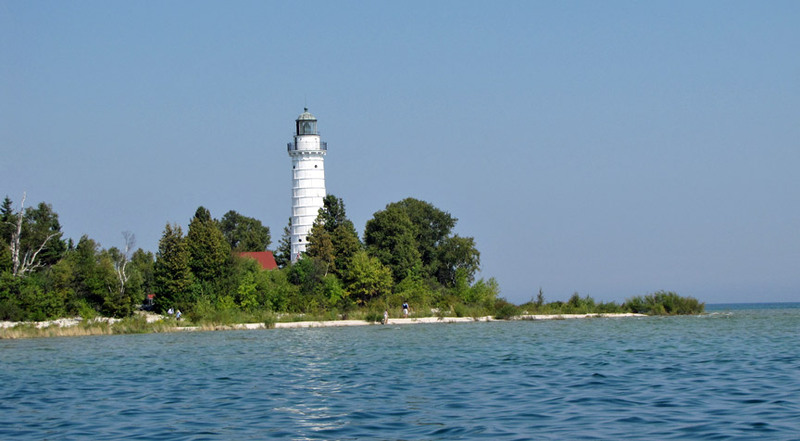 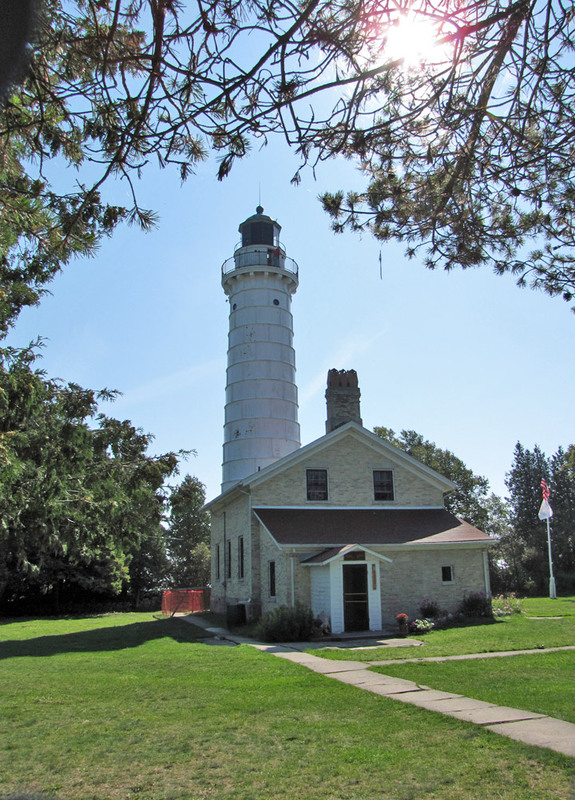 The other lighthouses in the county are: Baileys Harbor Lighthouse, Boyer Bluff Light, Sherwood Point Lighthouse, and the Sturgeon Bay Canal North Pierhead Light.